So a VPN for PC is the need of the day. A VPN is also known as a virtual private network. In other words, the moment you connect any device to a virtual private network you would be routing your internet services off to another location. Thanks to a VPN, location no longer plays an essential role in your network connections. When you connect to a VPN, your location would be routed off to that of the VPN itself. This also allows you to stay 100% secure when online. Alexa Calling is a feature launched by Amazon, which allows you to make calls and video calls easily. This will enable you to make the calls hands free. It worked a lot like Apple’s Siri. However, Amazon has announced that this feature will now be available on tablets, including iPads, Android tablets and, Fire tablets. If you are unable to use Alexa Calling from your current location, get a VPN for PC. This will allow you to bypass the geo restrictions. Eventually, you can anonymously access Alexa Calling from almost anywhere around the world. Know About VPN For PC? Are you planning to use a VPN for PC? But why use a VPN? And, are there some things you need to know before using it? Let’s find out. One of the significant advantages of using a VPN for PC is that it allows you to access inaccessible websites. It might so happen that you are unable to access specific sites in your location. This might be due to a variety of reasons. And for this, your internet service provider may be tracking your online activity. This is where a VPN comes in handy. Since your actual location is hidden, you can access such websites. Another significant advantage of VPN is that it lets you browse content online without any hindrance. This is all the more important if you are traveling. When you are traveling to distant locations, you might not get a stable internet connection everywhere. This is where a VPN for PC comes in handy. It ensures that you get a stable connection no matter where you go. A large number of the online streaming websites are region specific. This means that these sites allow streaming in only some parts of the world and bans and blockades in others. However, that isn’t fair since your geographical location should have nothing to do with what you watch online. This can be made accessible through VPN for PC. A VPN service would hide your IP address, and also your geographical location. Also, the VPN service encrypts your data entirely. This means that your data and your online activity are completely safe online. If you want to protect yourself from hackers, this is the best way to go about it. You should go for Le VPN if you are considering a VPN for PC. Le VPN is among the reliable VPN service providers in the market. As we have already given information on what is a VPN, and how it helps in avoiding online threats. Le VPN uses AES-256 encryption standard. This AES-256 encryption algorithm helps to protect all traffic that passes Le VPN servers. You are assured about your online security, privacy as well as anonymity with Le VPN. Avail LE VPN’s Spring Special offer. Get Le VPN’s 2-year plan for $69.60 or $2.90/month. 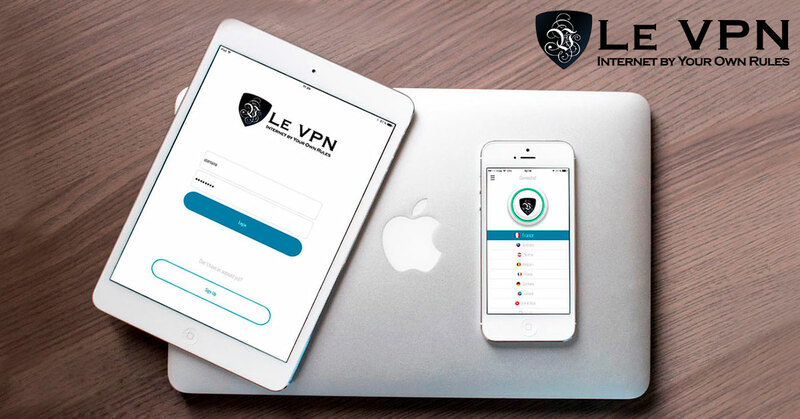 Subscribe to Le VPN today!